Wow, talk about a long time coming! Who would have guessed when Redbird #1 was published way back in 2006 (?) that we would still be waiting for the second issue nearly seven years later? Well, the wait is over at long last, and we're here to tell you that Redbird #2 is another one-of-a-kind hand-crafted comic book that delivers the patented Zettwoch Experience™. 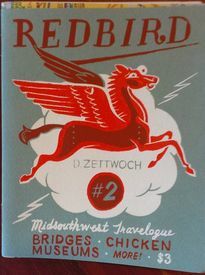 As the cover states, this is a "Midsouthwest Travelogue" featuring bridges, chicken, museums and more. 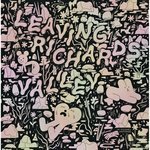 It details a trip taken by Dan and his wife, in which they delve deep into the Americana of the midsouthwest. There's no point in wasting time trying to describe all that awaits in Redbird #2, as the quanitity available is quite limited, requiring all interested in so doing to make haste to insure the procurement of this handmade wonder. It looks like these are finally gone.